When it comes to garage doors, gates, and operators, Action Door provides repair, installation, replacement & maintenance services. Our technicians are proficient, with same-day, emergency repairs. 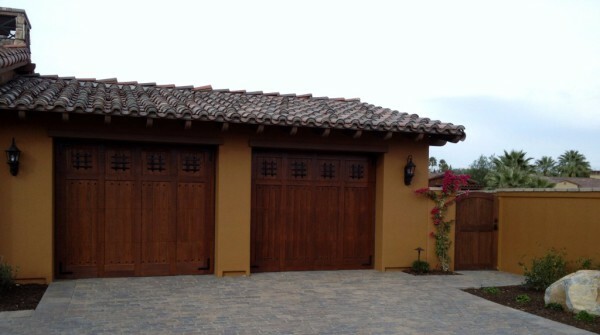 We replace garage door broken springs, rollers, cables, hinges, sensors, weather seal and much more. We also install and maintain most major garage door opener brands. Whether your door is not functioning due to a broken spring or you simply need a new garage door opener installed, our honest professionals are ready to help. Did you know that the average American garage door opens and shuts over 1000 times a year? Your garage door is the largest, heaviest moving object to your home so don't let an unexpected door issue dampen your day. Office hours are 8:00 a.m. to 5 p.m. Monday - Friday. We do offer emergency service any day of the week including holidays, fees applicable. If you call early, we can promise prompt same day service. We service from Indio to 29 Palms. 100% Customer Satisfaction – It’s simple. We’re not satisfied until you are. No Hassles or Up Selling – Our Field Technicians don’t make a commission so there is no reason for us to sell you something you don’t need. Family Owned & Operated – We strive to treat all of our customers like family. Call us today for an estimate on repair, maintenance, removal, replacement, or custom designed garage doors and gates just for you.